From Friday October 7 to Monday October 10 (public holiday), 2016, Yamaha Corporation (hereafter "Yamaha") and Yamaha Motor Co., Ltd. (hereafter "Yamaha Motor") will be holding the joint design event "Two Yamahas, One Passion - Design Exhibition 2016" - at Roppongi Hills O-YANE PLAZA. As companies that share the Yamaha brand, Yamaha Corporation and Yamaha Motor have collaborated on different projects under the banner "Two Yamahas, One Passion." In the design field in particular, where there is a high degree of compatibility, the two design divisions have collaborated on initiatives such as "project AH A MAY," where they traded design fields and threw design ideas back and forth, as well as the "&Y" project, where both design departments worked together on the design of concept models, actively showcasing their work in design events both within Japan and abroad. 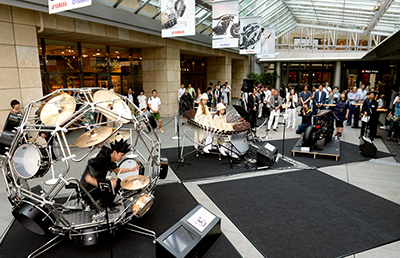 Two projects in particular have led to the creation of a variety of pieces, such as a globe-type drum kit "RAIJIN", a motorcycle with a design theme inspired by horses "√ (root)," and the "&Y01," an electrically power-assisted wheelchair that performs music. Being held for the second year in succession, this joint design event is based on the booth concept "Rejoice." 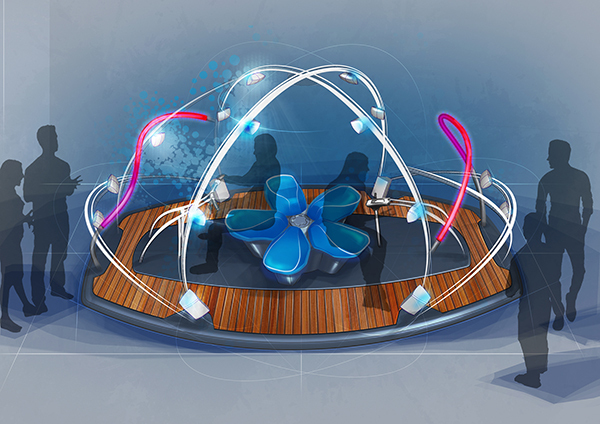 The event features the world première of the "&Y02" auditory Movement Experience Device, which multiple players can sit on to control the sound, creating a unique audio experience. 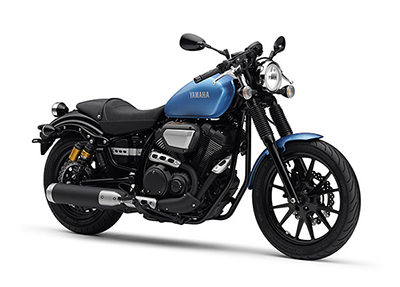 Yamaha and Yamaha Motor will also exhibit a total of eleven other design concept models and products from both companies. Of the five design concept models, one is being displayed for the first time in Japan. 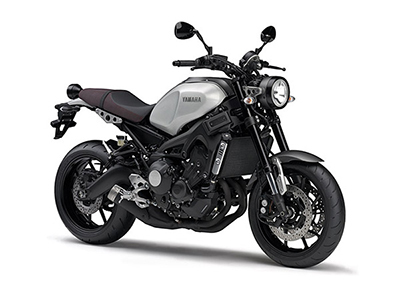 This is the second creation of the "&Y" project, which develops works embodying the unique style of Yamaha shared by the two companies, through delving into the possibilities of fusing musical instruments and audio equipment designs with motorcycles and other mobility designs. In the "&Y02," the players can change the music and manipulate the sound field through movements akin to controlling mobility devices, providing an entirely new sensation of movement through music to the players inside. Comprised of loop shapes which seem to continue indefinitely, the design features a seating layout in which enjoyment is oriented to the outside. 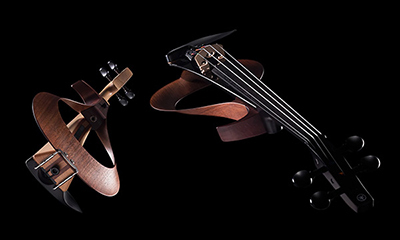 While delivering both an innovative and beautiful design, this next-generation violin has excellent capability suited for stage performance. 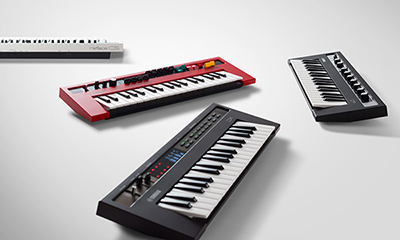 Yamaha synthesizers and keyboards have won high praise for many years, and this concept rearranges them in a contemporary way. These new keyboards deliver both genuine performance capabilities with compact housing. A design inspired by motorcycles, a distinctive quality feel capturing the best of Japanese craftsmanship, and a powerful yet delicate sound which brings out the player's individuality. 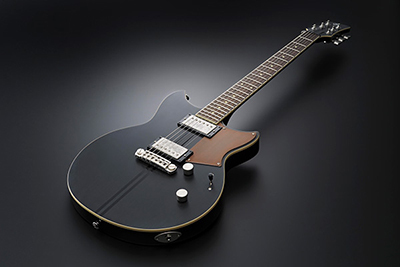 This electric guitar encapsulates the best of Yamaha's 50-year history of guitar manufacturing. Near-silent performance makes discrete practice simple. 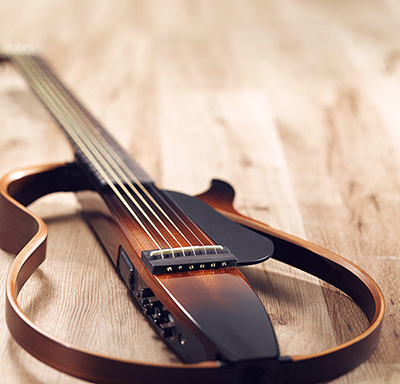 Its powered pickup system gives incredibly natural acoustic tone through headphones or line-out. At home, on holiday, in the studio, or on stage, SLG lets the guitarists play whenever and wherever inspiration hits. 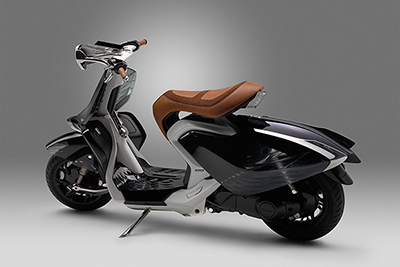 Concepts and products exhibited by Yamaha Motor Co., Ltd. 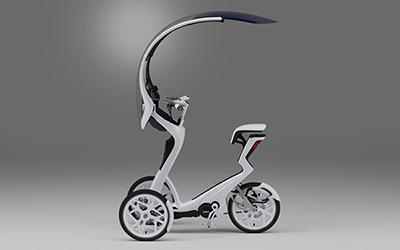 This scooter concept model was designed based on the RUN-WAY concept, which evokes the image of women with an air of dignified elegance and grace in mind and body. 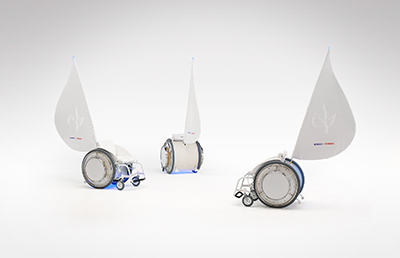 This concept model is a three-wheel mobility vehicle fitted with electric assist technology designed to give the impression of a garment lightly draped around the rider's body. 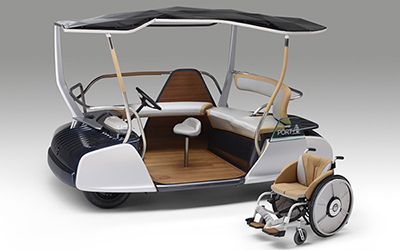 This concept model is an electric four-wheel mobility vehicle designed to evoke indeterminate spaces, which are neither truly indoors nor outdoors, such as the Japanese-style "Engawa" veranda. Based on the XVS950CU BOLT platform, this immensely enjoyable V-twin cruiser model has a classical, yet sporty image. Developed on the "The Performance Retro-ster" concept, this model blends a distinctive retro exterior and performance from advanced technology. The Scene of "Two Yamahas, One Passion 2015"
*The above dates and times are Japan Standard Time(JST). "Yamaha Motor Design" Yamaha Motor Co., Ltd.